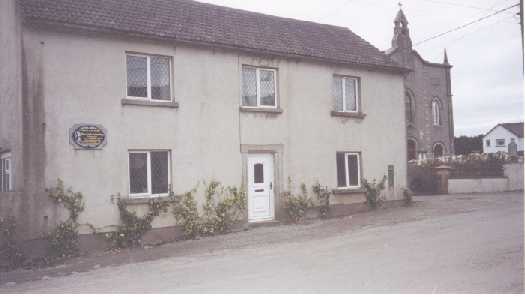 This house was the school before the new school (now the hall) opened in 1885. It carries a plaque to the memory of Patrick Kennedy who was born in Kilmyshall. Patrick Kennedy (1801-1873) was a locally famous author and folklorist.